Looking for a cheap 2GB graphics card for your budget gaming PC? If yes then you are at the right place because here you are going to find it. A graphics card with 2GB video memory is sufficient for gamers on a tight budget. 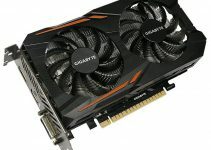 Here in this post I am going to provide you the list of best 2GB Graphics Cards on which you can play latest games on low-medium settings at decent resolution. But you can play older games on high settings on 1080p on these affordable and budget 2GB video cards having faster GDDR5 memory. These 2GB Graphics Cards are affordable and has lower power consumption. They also do not need external power from your PSU and they work only on the power supplied by the motherboard’s PCI Express Slot. Now let’s get started with cheap 2GB Graphics Cards with GDDR5 VRAM. Here are the best 2GB Video Cards from Nvidia that are quite affordable and are also good enough for gaming. GeForce GT 730 is a very good budget graphics card for building an affordable gaming rig. It is a decent powerful graphics card and you can play latest games on low-medium settings, and older games at high settings on decent resolution. 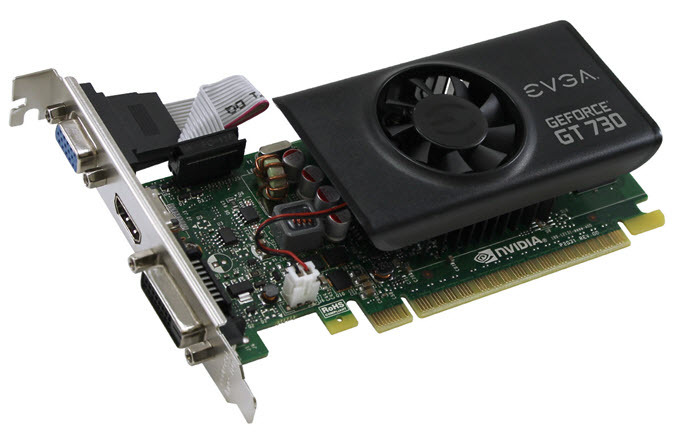 Here we got EVGA GeForce GT 730 graphics card with 2GB GDDR5 64-bit video memory. It comes with 384 CUDA Cores and has memory bandwidth of 40 GB/s. It is a low profile graphics card and is actively cooled by a single fan and heatsink. You can get this card at a cheap price from the link given below. GeForce GT 740 is also a budget graphics card but is more powerful than GT 730. Both GT 730 and GT 740 comes with 384 Cuda Cores but the better GPU architecture and larger memory interface of 128-bits makes GT 740 much powerful than GT 730. 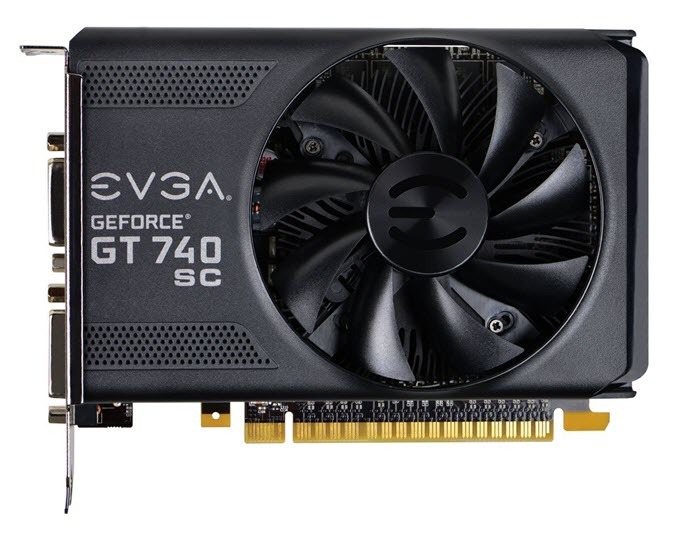 Here we have the Superclocked edition of EVGA GeForce GT 740 graphics card that comes with 2GB GDDR5 memory having 128-bit interface. The card has dual slot design and comes with a single fan and heatsink (HSF). It is a compact graphics card which means you can also fit it in mini-ITX cases. On this card you can play latest games on medium settings at decent screen resolution. You may get this graphics card under 100 dollars and you may check it out from the link given below. GeForce GT 1030 is the latest budget graphics card from Nvidia based on the latest Pascal GPU architecture. It comes with 384 CUDA Cores and 2GB GDDR5 video memory. GeForce GT 1030 graphics card meant for playing eSports titles and older games on high settings at decent resolution. Also you can play some of the latest games on low graphics settings at 720p resolution. Here we have ZOTAC GeForce GT 1030 which is a single slot low profile graphics card and comes with a small heatsink and fan. It is a great card for video editing, casual gaming, watching FHD movies and normal work. The card is much powerful than an integrated or onboard graphics solution. It is a super compact and can fit in slim tower and mini-ITX cases without any issues. The card has maximum power consumption at 30W and it does not requireadditional power connectors from the PSU. You only need a decent 300W PSU for its working. For connectivity the card comes with DVI and HDMI ports that can support higher display resolution. The card is also quite cheap and it is mostly priced under 100 dollars mark. GeForce GTX 1050 is unarguably one of the best graphics cards in this 2GB graphics card list. GeForce GTX 1050 is a powerful mid-range graphics card from Nvidia and it is based on the latest Pascal GPU architecture. 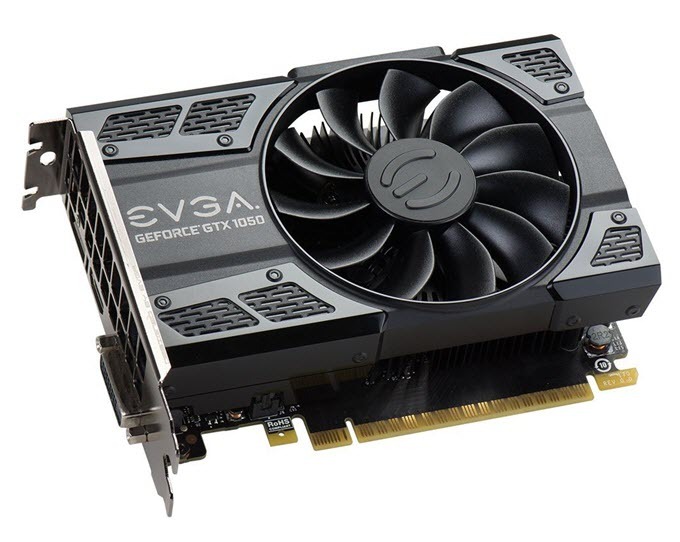 Here we have EVGA GeForce GTX 1050 SC GAMING graphics card having 2GB GDDR5 VRAM. This is a small form factor card which is great for mini-ITX or compact computer cases. This dual slot card has been overclocked for better performance in games and other applications. You can also overclock it further using EVGA Precision XOC Overclocking Software. It supports Nvidia G-Sync for super smooth gaming experience. On this card you can play latest games on medium-high settings on 1080p. You can play older games on high / ultra settings at 1080p with 60+ fps. This card will cost you a tad above 100 dollars and is the best card for building a powerful budget gaming PC. Highly Recommended by me. Note: I have not listed GeForce GTX 750 Ti 2GB here because in its price you can get much faster and advanced graphics card which is GeForce GTX 1050 Ti 4GB GDDR5. Here are the best 2GB Graphics Cards from AMD that you can buy to build a budget gaming PC. Radeon R7 250 is an affordable budget graphics card from AMD. Radeon R7 250 is powerful than GeForce GT 730 graphics card from Nvidia but a bit slower than GT 740 . 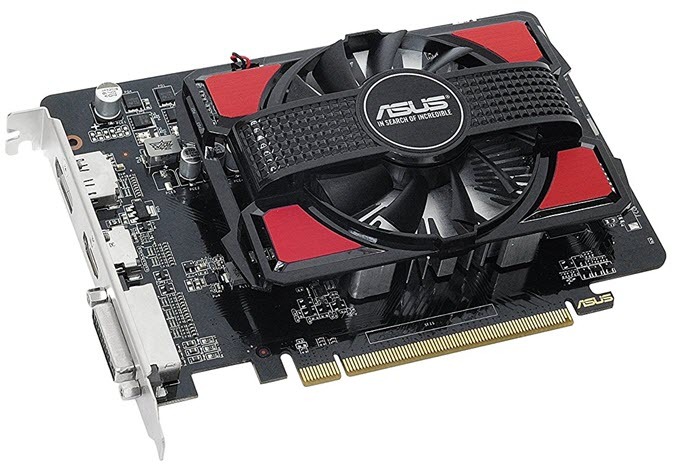 Here we have ASUS Radeon R7 250 that comes with 2GB GDDR5 memory. The card comes with a unique dust proof fan design that is said to have 25% longer lifespan because of its resistance to dust. Just like GT 730, R7 250 card is good enough for casual gaming. You can overclock this card using the Asus GPU Tweak II overclocking software that comes bundled with this card. The pricing of this card is similar to that of GT 730 and you can check it out from the link given below. R7 360 is a good mid-range graphics card that is powerful than GT 740 and GTX 750 Ti from Nvidia. Here we got XFX Radeon R7 360 2GB GDDR5 graphics card that comes with a great HSF (Heatsink Fan) design. This card has got dual 90mm fans which can be detached or removed. This makes the card easier to clean and fans can also replaced easily if they become faulty somehow. This card remains cool and quiet even during heavy gaming. The heatsink of this card comes with heat pipes for better dissipation of heat and thus improved cooling performance. 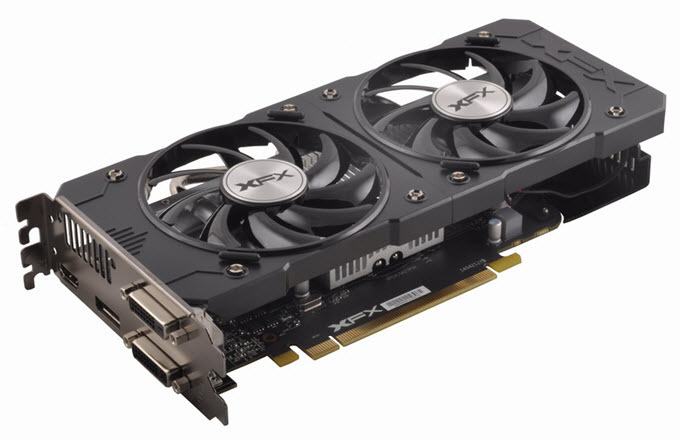 The cooling technology used in this card is known as XFX Double Dissipation Cooling. The card supports AMD Eyefinity, Crossfire and FreeSync. On this card you can play latest games on medium-high settings at decent resolution with 60 fps. Overall a decent mid-range graphics card for AMD fans. 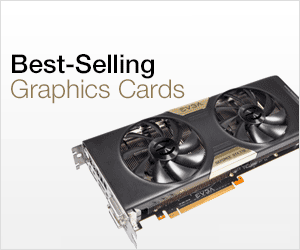 XFX AMD Radeon RX 460 2GB GDDR5 is one of the most powerful 2GB Graphics Cards along with GeForce GTX 750. This card is based on the latest Polaris GPU architecture. It is a powerful mid-range graphics card and you can play most of the games at medium-high settings at 1080p. The performance of Radeon RX 460 is comparable to that of GeForce GTX 1050. The card supports AMD Crossfire and FreeSync technology. The card is pretty compact in size but has got dual slot design. The card has got lower power consumption and requires only a 400W PSU for its working. 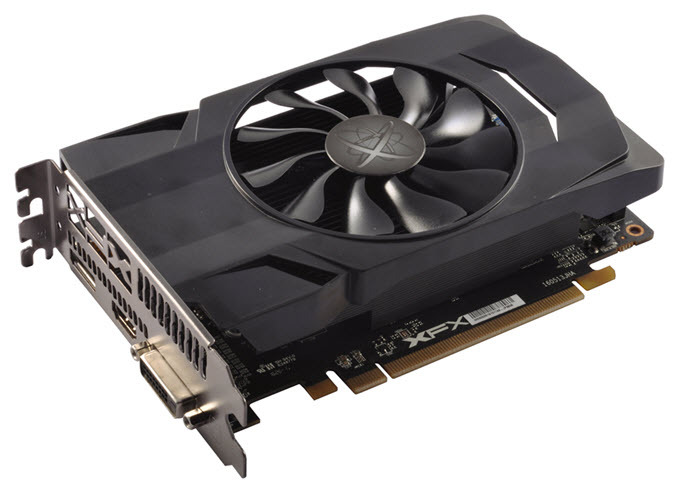 The exact model number of the card is RX-460P2SFG5. Radeon RX 550 is an entry level graphics based on the latest Polaris GPU architecture from AMD. This a small yet powerful graphics card and is very affordable. Radeon RX 550 comes with 512 Stream Processors and on this card you can run latest games on low-medium settings at 720p resolution and older games on high settings. Here we have Gigabyte Radeon RX 550 D5 2G that comes with 2GB GDDR5 VRAM. This is an overclocked version of Radeon RX 550 and offers slightly better performance than the reference RX 550. This card is compact and comes with a single 90mm fan which does a great job in keeping the graphics card temperature to lower levels. The card has lower power consumption and does not need PCI-E power connector and requires a 400W PSU for its working. 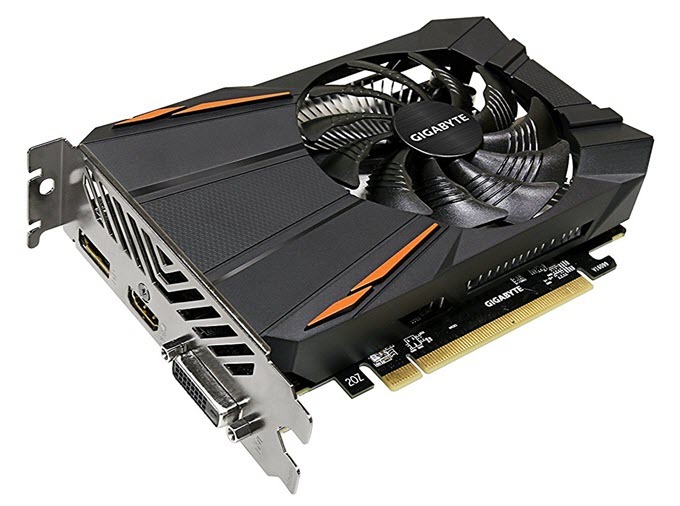 Gigabyte Radeon RX 560 Gaming OC 2G is the most powerful 2GB graphics card in this list. Radeon RX 560 is the successor of Radeon RX 460 graphics card and both of them are built on the latest Polaris GPU architecture from AMD. Radeon RX 560 comes with 1024 Stream Processors which is higher to that found in Radeon RX 460 as it has only 896 Stream Processors. Radeon RX 560 is a budget mid-range graphics card and offers great value for money. 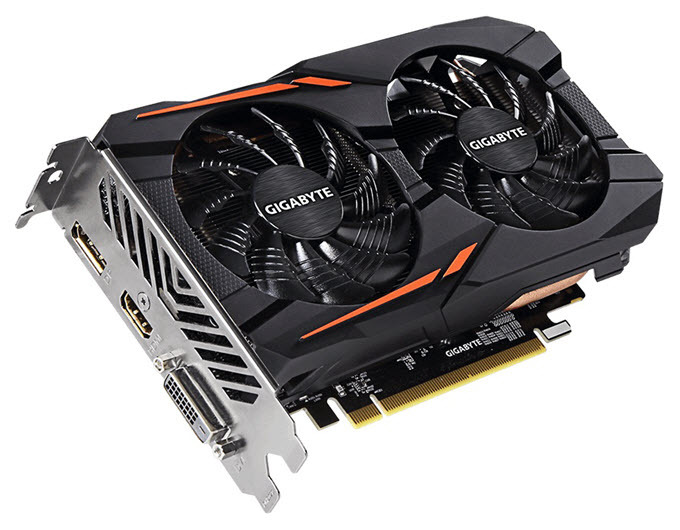 Gigabyte Radeon RX 560 Gaming OC 2G graphics card comes with 2GB GDDR5 Memory and is equipped with WINDFORCE 2X Cooling System having dual 80mm fans. 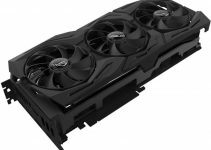 The card comes pre-overclocked and offers better performance than the reference RX 560 design. On this gaming card you can play latest games on medium to high settings at 1080p at comfortable frame rates. This card requires one 6-pin power pci express connector from the PSU and a decent 400W PSU for its working. Well here I have listed down the best 2GB graphics cards for building an affordable or budget gaming PC. These graphics cards have lower power consumption and require only a decent 400W power supply for their working. If you have queries regarding them then you can ask me by leaving a comment below.